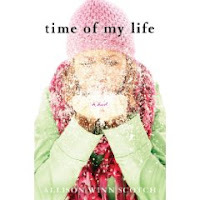 If you’re looking for a good chick-lit book to read, or a present for another mom, think about Time of My Life by Allison Winn Scotch. The book features Jillian, a 30-something mom of a toddler , who spends a lot of time thinking about “what if…” What if she didn’t marry her hubby Henry, who she's began to loathe. What if she instead married her previous boyfriend Jackson? What if she continued in her high power advertising job instead of quitting to be a stay-at-home mom? What if she still lived in Manhattan, instead of moving out to the suburbs? Rather than just wondering, though the mystery of a certain massage therapist’s hands, Jillian ends up in her old life. She has the chance to change her future, and to learn about herself in the process. What does her new future hold? That's up to you to find out.